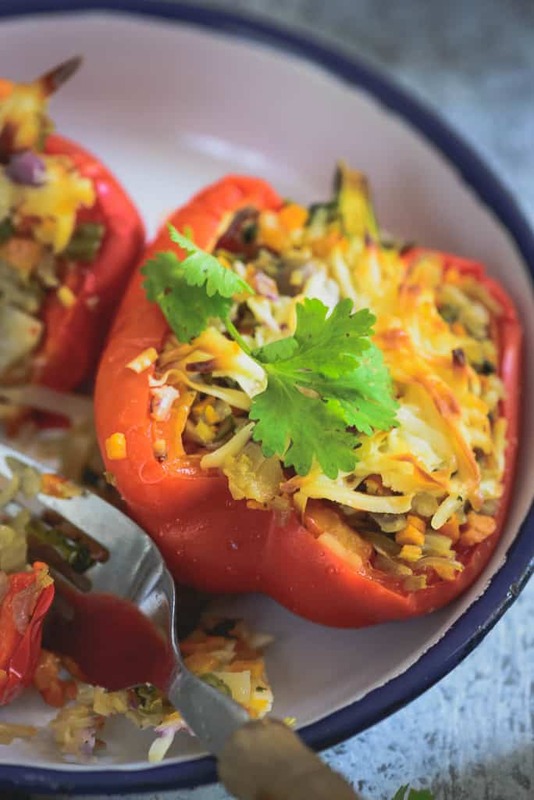 Mix Vegetable Stuffed Peppers… In search for healthy and quick to make recipes for weeknight dinners, I ended up making this delicious yet healthy Mix Vegetable Stuffed Peppers for yesterdays dinner. 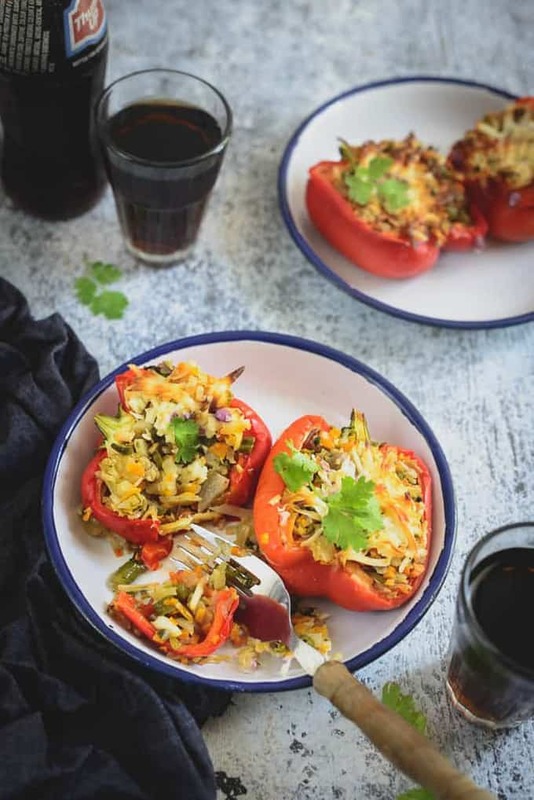 Packed with nutrients from a mix of vegetables, this recipe is going to feature in my kitchen quite often. Here is how to make it. 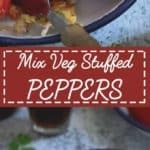 Wash the peppers and pat them dry. Cut the peppers into halves and remove the seeds. Apply olive oil and sprinkle salt over the peppers and keep them aside for 10 minutes. 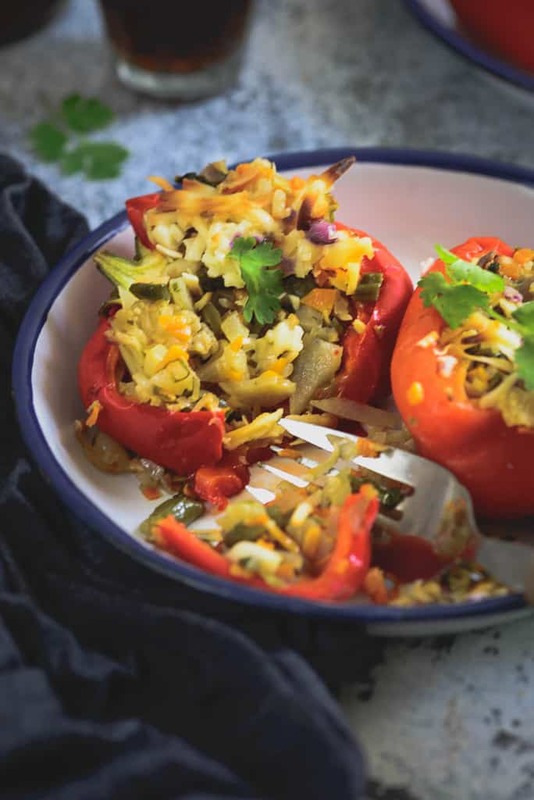 Arrange the peppers in a baking sheet and roast for 10 minutes. Remove the peppers from the oven. Mean while, heat vegetable oil in a pan. Once the oil is hot, add ginger and garlic and fry for a minute. Add the chopped vegetables, salt and balsamic vinegar and cook for 3-4 minutes until slightly softened. Stuff the mix vegetable filling inside the peppers. Sprinkle some cheese on top and again roast for 10 minutes.